A new Firefox Beta for Windows, Mac, Linux and Android is now available for download and testing. 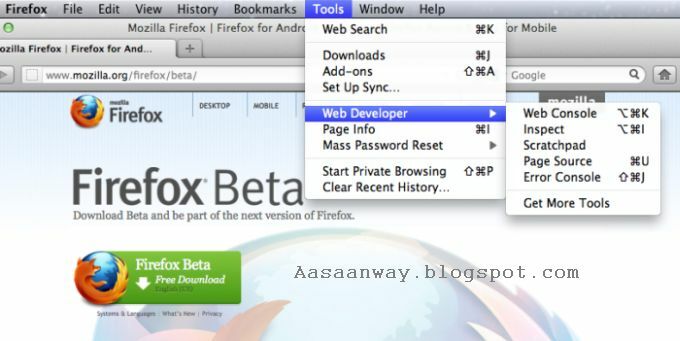 The latest Firefox Beta includes new built-in developer tools. Now it's even faster and easier to create and modify your websites using scratchpad and the page and style inspectors. Your Firefox Beta experience is also now smoother as incompatible add-ons are automatically disabled and all other add-ons (except binary add-ons) are compatible by default. Which browser is your favourite? leave your comments.